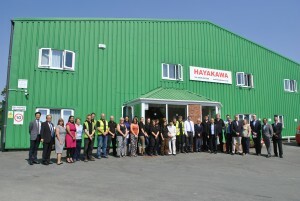 The Mayor of Himeji, Mr Toshikatsu Iwami and his wife, along with a delegation from Japan, visited Hayakawa UK as part of a Japanese tourism promotion of North Wales. They have selected the best twenty Roads in the World; one of these being “Wonder of Castles Road’’, which runs from the south of Wrexham along the North Wales coast. Mr Takeharu Nakajima, a Welsh Government Representative based in Tokyo, was instrumental in arranging and overseeing the visit. The Mayor is in North Wales to visit Conwy Castle as it is being twinned with the famous Himeji Castle in Japan, both of which are Unesco World Heritage Sites and on 6th July a ceremony will be held in Conwy. The twinning of the two castles comes as a result of North Wales tourism building close links with the Japanese tourism industry. As HIUK head office is in Himeji, the Mayor wanted to include this in his visit, as along with promoting tourism, Mr Toshikatsu Iwami’s visit was also to help promote Japanese companies in North Wales. 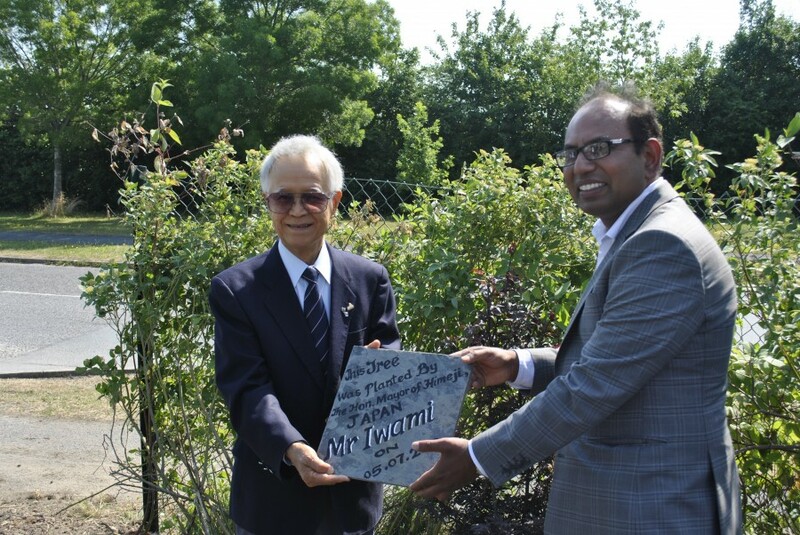 Whilst visiting HIUK the Mayor planted a Japanese maple tree on the grounds, a tangible symbol of not only Hayakwa’s growth and prosperity, but of the flourishing relationship between North Wales and Japan’s tourism. Manufacturing and supplying innovative wire harnessing solutions to a vast range of industries since 1964, Llay based HIUK specialises in the bespoke design and manufacture of wiring, cable assemblies and lighting cables.